The Queensland government is considering a recommendation by former Police Commissioner Bob Atkinson to increase the minimum age of criminal responsibility from 10 years to 12 years. 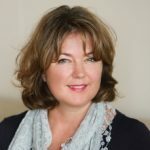 The minimum age that a child can be criminally prosecuted in Australia is currently 10 years, despite psychologists long expressing the view that children between 10 and 12 have not reached a stage of developmental maturity to have sufficient insight into their actions to face prosecution. Those involved in the juvenile justice system has also expressed the view that prosecuting very young persons can have adverse long term effects on both the child and society as a whole, stigmatising the child and making it far more to steer them back on the right track. 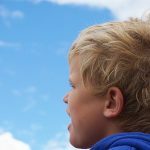 Mr Atkinson points out that a large proportion of children who are involved in crime are victims of abuse themselves, and the current age of responsibility only serves to further victimise young kids. Increasing the age of criminal responsibility is one of 77 recommendations made by Mr Atkinson in his report on Youth Justice, which was commissioned by the Queensland State Government earlier this year. 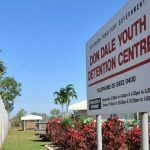 Queensland put youth justice in the spotlight after harrowing details emerged from the Northern Territory that children incarcerated in Darwin’s Don Dale youth detention centre were being physically and mentally abused, and subjected to degrading sexualised treatment. Reducing number of children entering detention for first time. 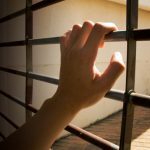 The report suggests that more diversionary and education programs should be set up to give police and the courts options besides putting young people in detention. It also suggests that police should have the discretion to place children into programs rather than prosecuting them for minor offences such as fare evasion. Mr Atkinson has since made it clear that while public safety is paramount, there are other approaches to the problem of youth offending. Queensland youth detention centres are already stretched to capacity. A handful of 17-year-olds are still serving time in the state’s adult prisons, but the Government says it is committed to end that situation by the end of October. Youth workers are applauding the recommendation, and hoping that it will help reduce the number of Aboriginal and Torres Strait Islander children in detention. 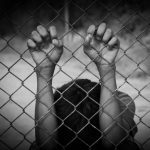 While Indigenous children make up 5 per cent of Australians aged between 10 and 17, they comprise 55 per cent of Australia’s child prison population, and are 24 times more likely to be incarcerated than non-Indigenous children. Many studies have shown that intergenerational disadvantage, disconnection from culture, poverty, poor health and family violence are factors which significantly contribute to the likelihood of offending. For many years, there have been calls for Australia to focus less on putting young people into detention centres and more on addressing the underlying factors that lead to offending, as well as diverting young offenders away from the criminal justice system and towards diversionary programs that help them address their issue and take control of their lives in a positive way. It is hoped the adoption of recommendations made by the Atkinson report will go some way towards achieving those objectives.